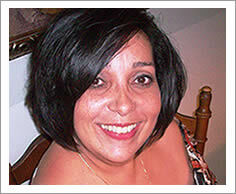 My name is Marilsa (Mari) Medina, and I am the owner of Florida Document Specialists. I provide affordable self-help, nonlawyer document preparation and clerical assistance to pro-se customers throughout Florida who have chosen to prepare their legal documents, forms and paperwork on their own without the assistance of an attorney. I specialize in preparing documents for Florida stepparent and relative child adoptions. We are not a virtual Internet provider. We are fortunate and blessed to be able to work from our own office in the Professional Building in Daytona Beach, where we enjoy the services of professional receptionists and the comfort and convenience of a very nice conference room if needed. We prefer to meet all of our customers personally either at our office, or at a location of their choosing. I will travel statewide for no additional charge to facilitate the delivery or finalization of documents. All notarial services are included at no extra charge. My name is Marilsa Torres Medina (Mari). I am an owner of Florida Document Specialists and Florida Family Adoptions. If you hire our business, you will work directly with me from start to finish. I am not an attorney, but I have worked for attorneys most all of my adult life, mostly as an adoption paralegal or adoption program specialist. After concluding a very rewarding career, I have decided to work for you. I was born in Caguas, Puerto Rico, and I graduated with honors with a Bachelor's Degree from the University of Puerto Rico in Rio Piedras. I was introduced to legal work in Connecticut in 1982 and continued working exclusively in this field after I relocated to New York in 1987 and until my move to Florida in 1997. I have devoted the last 25+ years to primarily serving in the legal community. I am fully bilingual in the Spanish and English languages. I was previously certified in the State of Connecticut as a Simultaneous Courtroom Interpreter. After many years of service as a legal assistant and paralegal, I occupied the position of Director of Program Development for a large Orlando, Florida adoption agency from 2006-2010. During my tenure as the Director of Program Development, I was invited by an adjunct professor at Barry School of Law in Orlando, Florida to lecture for four semesters on Practical Adoption Procedures and Processing to law students enrolled in the adoption law course. From 2005 until 2010, I served on the Board of Jeremiah’s Child, a foster-care ministry, as its Program Director, and from 2003 to 2009 I served on the Board of Directors of Mary’s Shelter, a maternity home for adoption-minded women out of Altamonte Springs, Florida until its closing in 2009. From 2009 to 2011, I served as a Director at Large for the Florida Adoption Council (FAC). In my free time, I enjoy reading and weekend getaways when work allows. One of my passions is the prevention of animal cruelty, and I strongly advocate for pet adoptions through rescue organizations or no-kill shelters. Currently, I am the owner of Mariposa Professional Services, Inc., which is a registered Florida corporation in good standing. I operate Florida Document Specialists and Florida Family Adoptions under the umbrella of my corporation. I am dedicated to serving Florida residents by offering quality, nonlawyer legal document preparation assistance at an affordable price.